We invite you to join us at St. Jude's Episcopal Church as we celebrate the arrival of the Christ Child. God loves us so completely that God became like us. God deeply loves us all, no exceptions. May you experience God’s abiding love for you this Christmas. Christmas Eve Service 8:00 p.m.
​Christmas Morning Service 8:00 a.m.
For years, I’ve often thought that that passage only referred to Jesus giving his life as a sacrifice on the cross. And to be sure, that is part of what it means. But some years ago I was reading a commentary by Raymond Brown, on the Gospel of John, and Professor Brown said that that passage not only speaks of Jesus willingly giving his life on the cross, but it actually speaks of Christmas, of God giving his very self, his very son to the world, not for anything God could get out of it, but for the good and the welfare and the well-being of the world. Of us. Someone once said, in a Christmas poem, “Love came down at Christmas.” That’s what love is. To give, and not to count the cost. To give, not for what one can get, but for what the other can receive. That’s what love is. God so loved the world, that he gave. God so loved the world, that he gave, even to the point of risking his own son. And in the name of those refugees, in the name of that Jesus, help all refugees, all people who suffer, anyone who’s alone, everyone who is in need. That’s what love does. 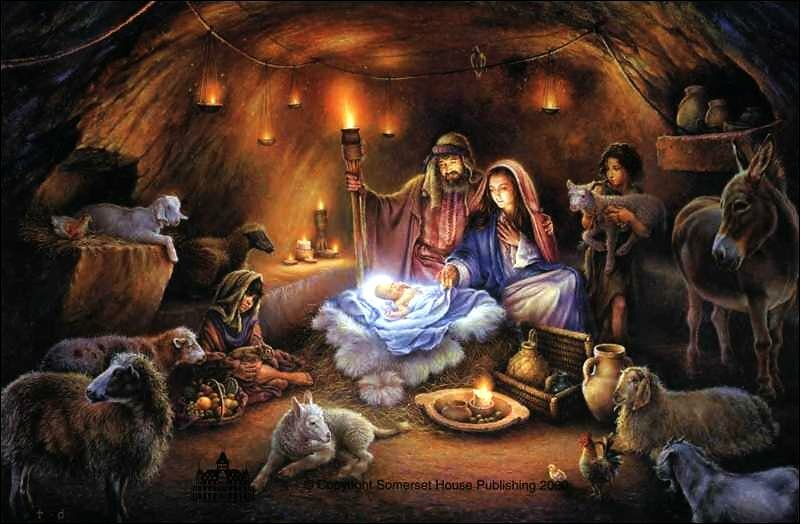 Love came down at Christmas, because God so loved the world, that he gave. In those days, a decree went out from the Emperor Augustus, that all the world should be registered. Joseph also went from the town of Nazareth in Galilee to Judea, to the city of David called Bethlehem because he was a descendent from the House of David. He went to be registered with Mary, to whom he was engaged, and who was expecting a child. While they were there, she gave birth to her first-born son, and wrapped him in bands of cloth and laid him in a manger, because there was no place for them in the inn. Have a blessed Christmas. Have a merry Christmas. Have a joyful Christmas. God love you, God bless you, and may God hold us all in those almighty hands of love.